Wrightsville Beach is located at 34.2111° N, 77.7986° W in New Hanover Co. on the southeast North Carolina coast. In addition to our beautiful, unspoiled beaches, you can enjoy world-class surfing, paddle boarding, fishing, clamming, spearfishing, boating, or running The Loop, a popular 2.45 mile running trail. Walk to restaurants, shopping, the grocery store or local watering holes. Visit Wrightsville Beach Park for basketball, tennis, playgrounds or other workout equipment. While you're there, take time to walk through the Harbor Way Garden, the Plant It Pink Garden, and the Children's Fountain. We'd love for you to visit and see for yourselves. We're just over the drawbridge from Wilmington, NC. Wrightsville Beach Residents: Click here to find out which native plants and trees are best for your garden and best for protecting our coast. 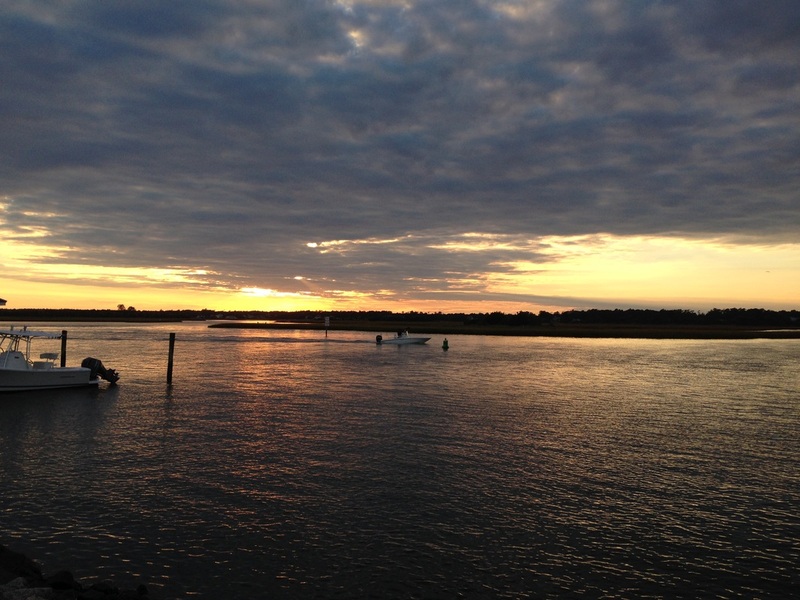 Sunset over the Intracoastal Waterway. Kids start young on surfboards. World-class surfing tournaments are held each year at Wrightsville Beach.